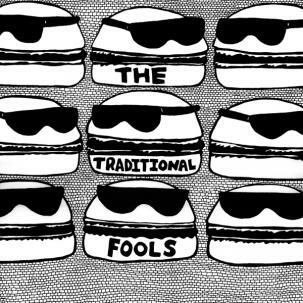 The Traditional Fools were David Fox, Andrew Luttrell and Ty Segall. They splashed onto the underground music scene around 2006 with a no-frills, lo-fi, fun, sloppy brand of budget garage-surf-punk sadly absent from music at the time. The trio released one cassette, one full-length album, a single and then knocked it on the head. They occasionally still get together for the odd “reunion” show (they never technically broke up) but will only play suitable venues like Permanent Records in Eagle Rock or Don the Beachcomber in Huntington Beach.Fools Gold collects the tracks from their 7-inch single along with thirteen previously unreleased recordings that have been languishing in their garage for years. Taken together, this is a barn-burner for those who can appreciate trash rock at its finest—soaked in reverb, feedback and cheap beer. 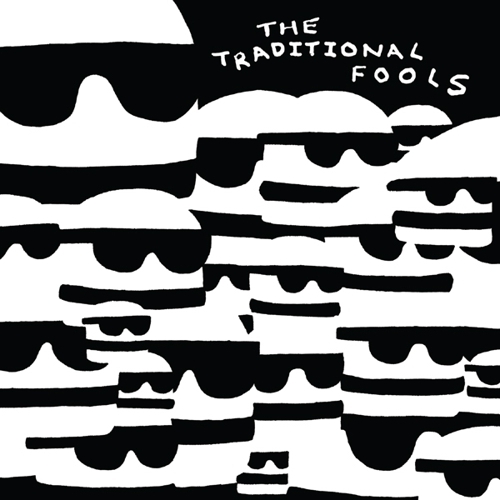 Cover versions of The Damned, Love, Redd Kross, The Mummies and Gary Glitter stand shoulder to shoulder with the band’s original jams.The Traditional Fools were a party band and this album is a rock ’n’ roll party! #12 Do You Wanna Touch Me? ?